Composed by Johann Sebastian Bach (1685-1750). Cello & Piano. Play Along. Sheet music and accompaniment CD. 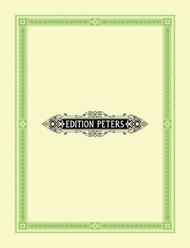 Edition Peters #Q9853. Published by Edition Peters (PE.Q9853). Sheet Music & CD Play-along Pack. Peters edition Description was incorrect: there is NO viola part included!